The EKS network was designed to replace the Soviet-era early warning systems inherited by Russia in the 1990s. Along with new ground-based radar stations, the new satellites could fill potential gaps in the Russian early warning defenses left by the disintegration of the USSR. The field of view of ground-based radar watching for rocket launches beyond the Russian territory circa 2010. Planned early-warning radar coverage during 2016. 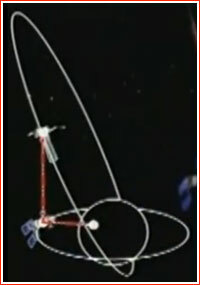 Before the introduction of the EKS system, the Russian government relied on the US-KMO constellation, which had been operational since 1996, despite various time and space gaps in performance. Moreover, the system was criticized as grossly inefficient and obsolete. One expert in early warning systems charged that due to the very narrow view angle of its onboard telescopes, the US-KMO constellation would require 12 satellites in geostationary orbit to provide global coverage. (760) Obviously, the Russian military budget in the 1990s and 2000s was nowhere near of being able of afford such an expense. 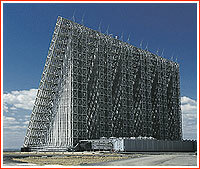 Along with ground-based radar stations, the new Tundra satellites could fill potential gaps in the Russian early warning defenses left by the disintegration of the USSR, because major radar installations located in the former Soviet republics of Ukraine and Latvia had to be abandoned or dismantled after 1991. The Tundra would be the fifth type of early-warning satellites developed in the former USSR. Like their predecessors, Tundra would be using their infrared telescopes to detect heat signatures from missiles, jet-propelled aircraft and other thermal sources across the globe. The satellites would complement the new Voronezh-M and DM radars deployed inside Russia in the town of Lekhtusi near St Petersburg, in Armavir in Southern Russia, in Kaliningrad (Pionerskoe Village) and near the town of Usolye Sibirskoe in the Irkutsk Region, as well as nearly a dozen surviving installations from the Soviet Era. Continuing its policy with respect to military space and missile systems, the Russian government disclosed the existence of the EKS project but provided only general information about its functions. The most crucial technical specifications and operational details about the EKS constellation have remained classified. The design of the satellites for the system was largely kept under wraps as well. In 2011, a then head of the Russian space forces, VKS, Oleg Ostapenko publicly announced the development of the Edinaya Kosmicheskaya Sistema, EKS, which can be translated as the "integrated" or "unified space system." He stressed that the EKS was not an upgrade of the existing early-warning network, but an entirely new system. As it later transpired, the full name of the EKS network in Russian is Edinaya Kosmicheskaya Sistema Obnaruzheniya i Boevogo Upravleniya, EKS OiBU, which can be translated as the "integrated space system for detection, battle command and control." In 2012, reports surfaced that the satellites comprising the constellation had been called Tundra. According to official information, the EKS network was designed for multiple tasks, the main of which would be early warning of missile attack, previously performed by Oko satellites. (The final Oko satellite was launched in 2012.) In February 2012, the then head of Roskosmos Vladimir Popovkin said that new-generation satellites would be able to detect both ballistic and cruise missiles. On October 9, 2014, the Russian Minister of Defense Sergei Shoigu was quoted as saying that the EKS network could track various ballistic missiles, including those launched from the oceans and from the countries conducting missile tests. The statement could be interpreted as hinting that the coverage would not be truly global and one map of early-warning satellite locations released in 2003 showed inevitable minor gaps in the view of geostationary satellites over the extreme ice-covered regions of the planet around North and South Pole. These gaps in the northern hemisphere could be closed by additional satellites in elliptical orbits. Unlike previous early-warning satellites, the Tundra was reported to be capable of not just detecting and locating a launch, but also of tracking a missile to its target. Known information about the design of the satellite (with one primary and side-looking scanning sensors), seemingly confirms that claim. With this new capability, the space-based component of the EKS network would be fully autonomous in its early-warning capacity, (which previously had to be supported by ground radar), thus cutting a precious minute or so in warning the Kremlin about a potential surprise attack. Still, the system was to be closely integrated with ground-based radar. Working in tandem, radar and satellites would be less prone to false alarms and other errors. According to one claim from the Russian Ministry of Defense quoted by TASS in 2015, one Tundra satellite could replace five or even six old-generation satellites. The report did not explain how such a drastic jump in efficiency could have been achieved, but probably referred to a wider view angle of each individual satellite. Multiple sources confirm that the EKS constellation would include slightly different satellites in two types of orbits. At least eight satellites would comprise the constellation. As of 2014, a total of 10 satellites were reported to be planned for deployment by 2018, probably counting all backup spacecraft in orbit. Following the launch of the first satellite in the EKS constellation at the end of 2015, the Russian Ministry of Defense promised that the second satellite would fly in 2016. In October 2017, the official TASS news agency quoted a defense industry source as saying that two early warning satellites would be launched annually beginning in 2018. By 2022, the space segment of the early warning network was expected to include 10 spacecraft, TASS said. In March 2019, the Russian Ministry of Defense said that by 2020, the orbital constellation of the early warning system would provide global coverage of land and sea surface. Given a 12-hour orbit flown by the first EKS satellite, launched under name Kosmos-2510, four such spacecraft would be enough to monitor the North American continent practically 24 hours a day. In addition, two or three satellites deployed in the geostationary orbit would be enough to provide global coverage of the planet and two such spacecraft would be enough to track launches of ballistic missiles from the Pacific and Atlantic Oceans, from where they could reach the Russian territory. Additional satellites could provide a reliable backup operations. According to some reports possibly based on the operation of the US-KMO network, each satellite could use its apogee path over North America for observation of missile launches, while during the following apogee over the opposite side of the Earth, the spacecraft could change attitude to provide ideal conditions for the illumination by the Sun in order to charge its batteries. Potentially, the reverse sequence could be used to monitor situation over Asia. 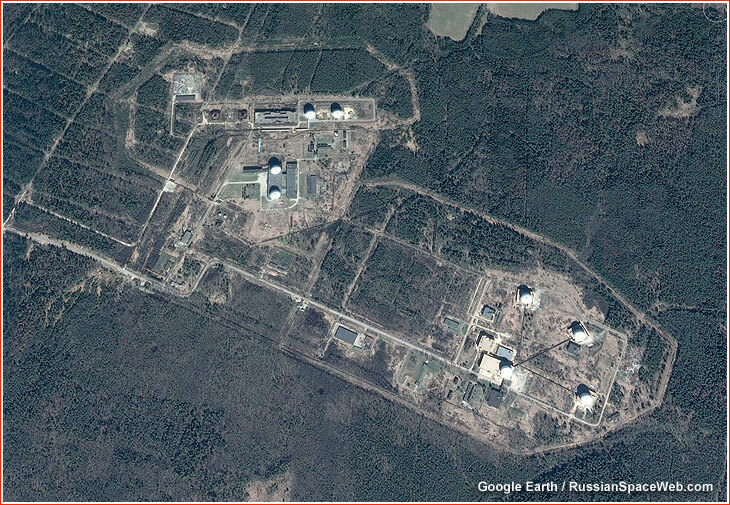 The main ground control center for the EKS network is known to be in Serpukhov-15 near Moscow. The exact location is near the Kurilovo village in the Kaluga Region. A new compact facility, or MKP, was built specifically for the EKS system next to the previous ground control center responsible for Oko satellites. According to the Russian Minister of Defense Sergei Shoigu, the new command post will be capable of automated processing of the tracking information from the satellites. 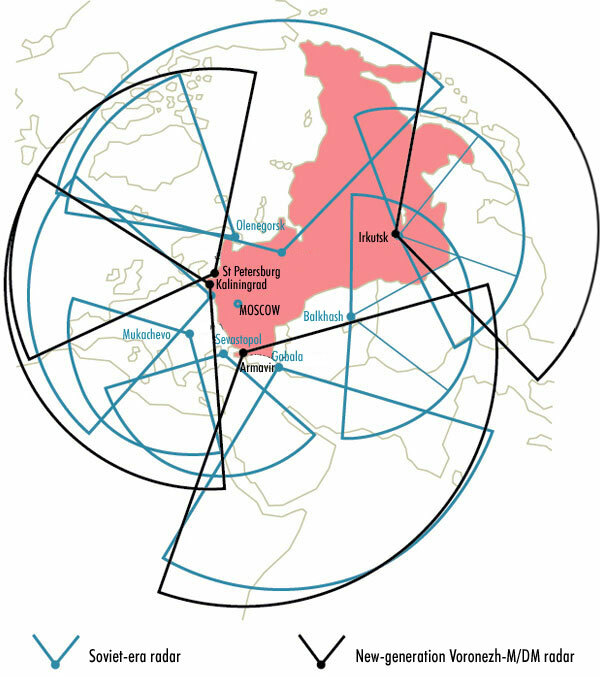 Illustration of two types of orbits used by Russian early-warning satellites: equatorial orbit (bottom) and the so-called Tundra orbit stretched over the Northern Hemisphere under high angle toward the Equator. Inside Russia's early-warning center near Moscow circa 2016.